Welcome to another episode of YATS! It’s Yet Another Tech Show! I’m Ant Pruitt with some show notes filled with references to articles discussed in this week’s episode. Thanks for coming by and checking us out. Mike Rothman is off again this week so it’s just myself, Mat Lee and Larry Press on board. Be sure to follow all of our social media connections by checking out The Crew page and subscribe to the show with iTunes so you can write us a review. Hello and welcome to another episode of our weekly tech podcast, YATS! Mat Lee here, and if you didn’t know, I host this beast. Joining me on episode 11 of Yet Another Tech Show is the whole crew of Mike Rothman, Ant Pruitt and Larry Press. We have a great episode for you, and as usual, if you want to see the archive video from the taping, they live here on my YouTube tech show playlist. You can also view the latest episode on YATS TV. 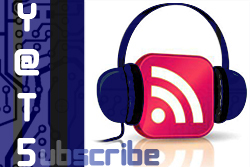 Regardless of how you consume our discussions, we encourage you to subscribe to the RSS feed in iTunes, or you’re favorite podcast app, that way you get fresh high quality crystal clear YATS each and every week. 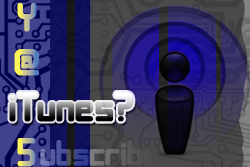 If you use iTunes, make sure to write us a quick review. Also, we are social creatures, so please reach out and interact with us via the social network buttons in the upper right. We focus our social networking on the YATS Facebook page, Google+ page, and Twitter account. Reach out and let’s chat, and please share YATS with your friends. Tap, click, or press the read more for links to show notes. Thanks for listening! Ladies and gents, Mat Lee here doing some notes for Yet Another Tech Show. Ant has the night off. Join us this week as Larry Press, myself and Ant Pruitt talk about the tech news that matters to us, and you. Each and every week we meet up and hangout publicly so you can join the discussion. There’s nothing like some good old real time interaction. Remember when we used to interact with each other in real time? I still do, but it’s called a day job. We’re trying to get away from that. You can watch the hangout for episode nine on YATS TV for the rest of the week, then on this YouTube playlist.